from only € 21,00 / Month (Max. 2 years) ! The insurance meets the requirements made by the decision of the European Union Council on 22.12.2003 (2004/17/EG) and therefore can be used for Visa Application or Extension. For au pairs required to have a visa, purchasing health insurance is one of the most important requirements for obtaining a valid visa at the embassy. Without health insurance there will be no visa. Not all au pair travel insurances are accepted at the embassies abroad. Only health insurances that meet the requirements for a Schengen Visa agreed upon by the Council of the European Union on 12.22.2003 (2004/17/EG) are recognized at the immigration office or at the German Embassy. Foreign au pairs need health insurance for their stay in Germany, even from a purely financial standpoint. Anyone staying in Germany or Austria without health insurance must, in case of illness, carry all costs themselves. However, costs of doctor's visits, medications and hospital stays in Germany or Austria are immensely high. Without adequate insurance, the financial burden is extremely high for young au pairs, their host families or their parents. In the worst case, they could even face financial ruin if they cannot carry the costs for necessary treatments. The Au-pair health insurance by Hanse-Merkur Versicherungsgruppe meets the visa requirements of the German Embassy and you can therefore use it for the visa application or extension. In addition, you will receive your insurance certificate quickly and conveniently via email after filling out the Online Application . Simply print the certificate and use it immediately as proof of insurance. In our experience, this au pair insurance is accepted for visa extensions in Germany by the German Embassy abroad as well as by the local immigrations office. The Care Au-Pair health insurance also offers excellent coverage for foreign au pairs in Germany or Austria. Out-patient, in-patient and dental treatments are covered according to local standard fees. Prescribed medications and dressings, prescribed medical aid after an accident, doctor prescribed transportation and prescribed transportation back to the home country, as well as pregnancy exams and treatments are also covered after the waiting period. For your best protection, we recommend the Care Au-Pair M rate ( from 35 Euro/ month ) or XL ( from 43 Euro/ month ): There are no furtherdeductibles for you with these two rates, but conveniently it offers you accidental dental coverage for a maximum of 1,000 Euro per year. The insurance will additionally pay loss of income during inpatient treatments and in case of illness the XL plan even includes the assumption of costs for a visit by a family member of up to 1,500 Euro. With both plans there is no deductible for the insured and settlement will be completed with doctors, hospitals etc. directly. 3. Who can use this insurance? The Care Au-Pair health insurance is suitable for all foreign au pairs who work in Germany or Austria. Au pairs can purchase this health insurance until they are 35 years old. 4. When will I receive my insurance documents for the embassy or immigration office? You can apply online . After a successful examination of the application, the insurance documents will be sent to the applicant quickly and conveniently via email.You can simply print these insurance documents and in urgent cases, use them directly for a visa application. If you have a German address, the insurance documents will also be sent to you by mail. Please be aware that in case of personal injury or property damage in Germany or Austria, you must pay for all incurred costs yourself. In Western Europe these costs can easily amount to several thousand Euros. But you do not need to take this financial risk, because for only a small additional amount of 2 Euro/ month you can protect yourself from these risks and enjoy a carefree time as an au pair in Germany/ Austria. For this, simply choose option "Yes" under "information about liability insurance or accident and liability insurance". This is highly recommended because for only a relatively small amount you will also receive your liability insurance and accident insurance and are well protected from most financial risks. 1. I desperately need a valid au pair health insurance for my visa application. What time frame can I expect for processing and when will I receive my documents for submission to the embassy? 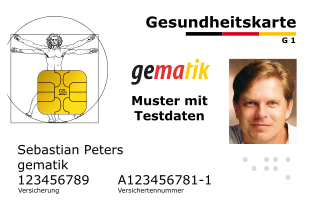 If the person is insurable, you will receive your insurance certificate within a few minutes via email and if you have a German address, also by mail, as soon as you have completely filled out and sent off the online application. In our experience, this insurance certificate is accepted as proof of insurance by the embassy as well as the local immigration office. In general, it is sufficient to submit a copy to the authorities. 2. Is this au pair insurance accepted for submission to the embassy or immigration office in order to obtain a visa? Yes - this health insurance for au pairs meets the requirements for a visa application and is therefore in our experience accepted as proof of insurance by the embassies abroad as well as by all immigration authorities in Germany or Austria. 3. I will go to Germany as an au pair for a year and I would like to visit my parents for vacation. Will I still be insured during my stay in the home country? Yes - During short-term trips to the home country, au pairs will be continuously insured through this health insurance for up to 6 weeks (per year). A longer term insurance in the home country is not possible. 4. My stay in Germany will be extended. Can I also extend the au pair health insurance? In general, au pair health insurance can be extended. An extension of the health insurance term must be communicated to the insurer in writing and needs to connect directly to the previous insurance. You must note, however, that the maximum insurance period, inclusive of all extensions, is 2 years. 5. My stay as an au pair in Germany has been shortened. Can I terminate the insurance early? Yes - should the au pair relationship end prematurely, you may terminate the au pair health insurance in writing. Paid insurance premiums can be refunded. There will be a processing fee of 5 Euro for refunds of overpaid premiums.